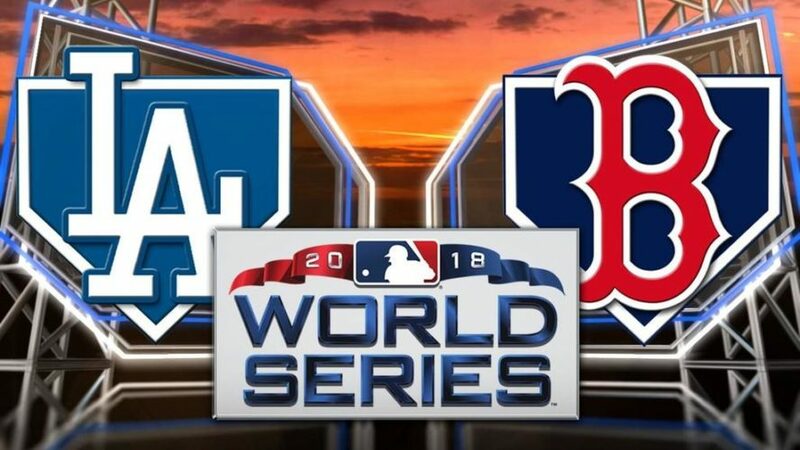 Two of the globe’s biggest sporting brands battled in American baseball’s 2018 World Series, fielding not simply the best line-ups in the sport but arguably two of the most recognisable sports logos. The lettering that adorns the caps of both the Los Angeles Dodgers and Boston Red Sox might only be superseded by the famed ‘NY’ of the Yankees when it comes to brand recognition. These logos, Boston’s old time ‘B’ and the interlocked ‘LA’ of the Dodgers, are increasingly popular among people in cafes, pubs and in parks, marking a confusing time in sporting culture where the uniforms worn by professional players are considerably more important to the public – at least the casual fans among us – than the sports they play. So in many ways this is the ideal scenario for any sport: having brands within the game, be they team logos or individual players, that elevate a league’s presence amid an overly crowded and light-speed popular culture. Whether ‘LA’ or ‘B’ succeeded really didn’t matter to most folks outside of Boston or Los Angeles, but that their reach is so great – and therefore their cache so strong – must mean a great deal to baseball’s promoters who perhaps never anticipated the fashionable appeal of its clubs. Like Manchester United or the Los Angeles Lakers, these clubs enjoy uninterrupted popularity whether they win or lose. Success can help but it’s perhaps the perception of success that becomes more important in the long run. And certainly value, monetary value that is, helps with that perception. This is why Dodger and Sox caps are only growing in number in big international cities, while Orioles and Mariners caps are nowhere to be seen. That’s a shame because their logos are really pretty cool, too. Posted on October 27, 2018 November 3, 2018 by The EditorPosted in BaseballTagged Baseball, Boston Red Sox, la Dodgers, ny Yankees, World Series. Previous Previous post: Outdoor hockey, on thin ice?